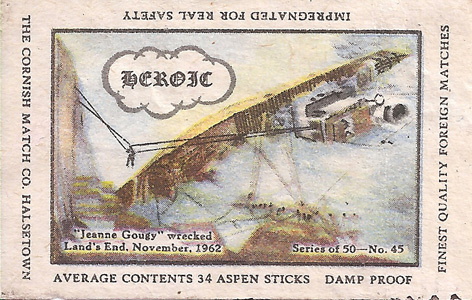 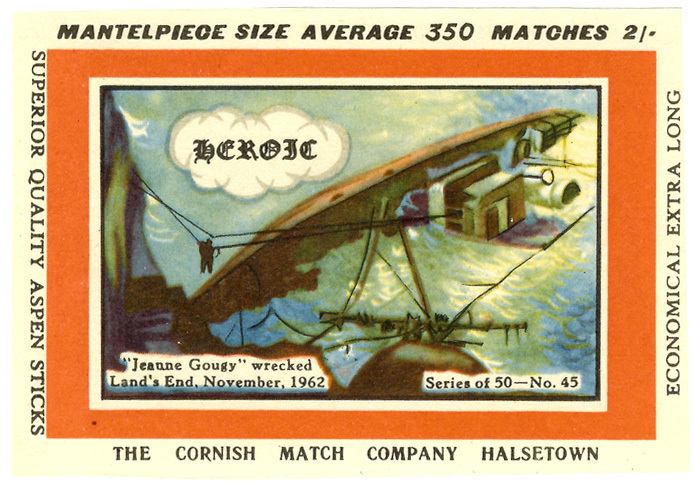 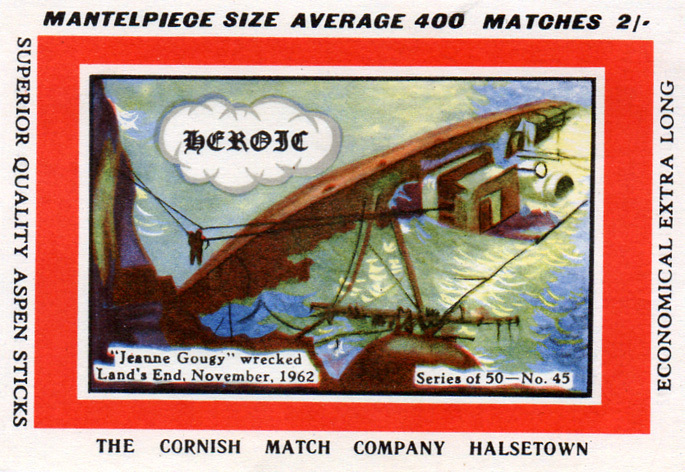 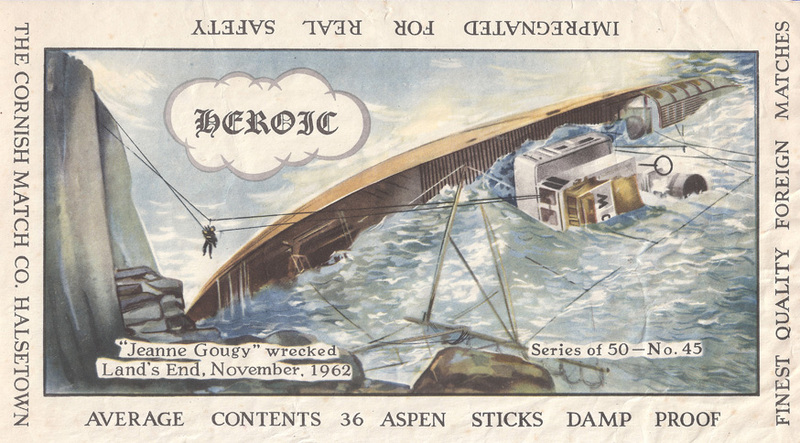 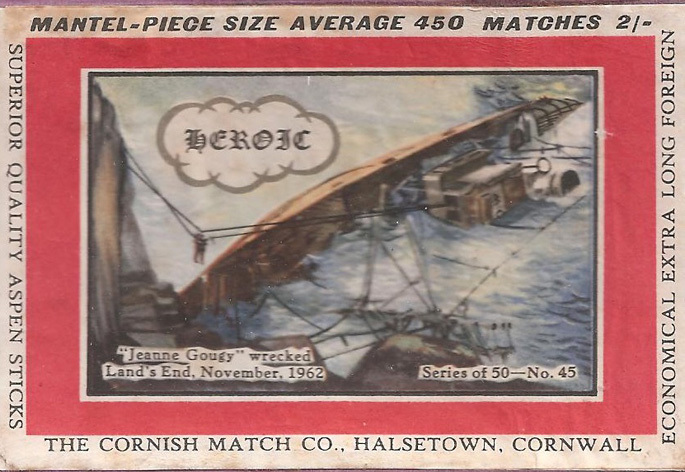 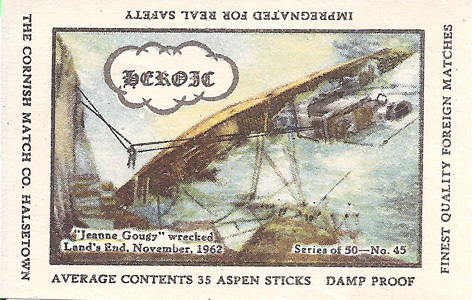 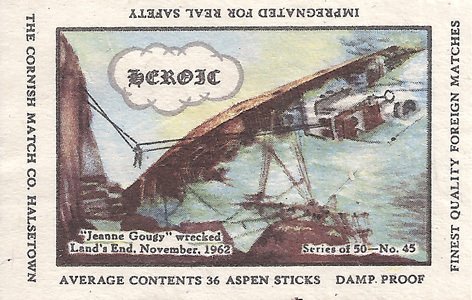 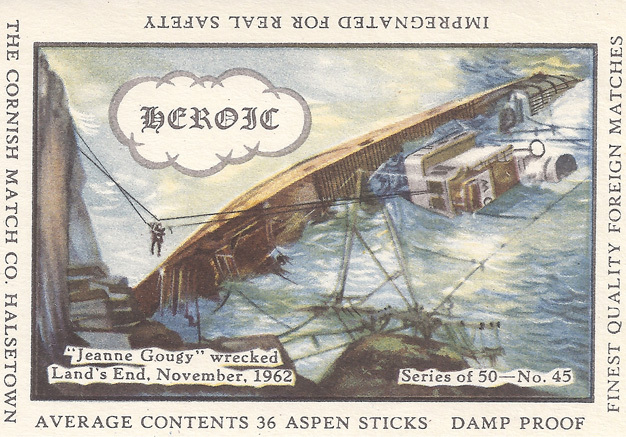 An odd label in the series, showing the Jeanne Gougy, wrecked in November 1962 off Lands End. 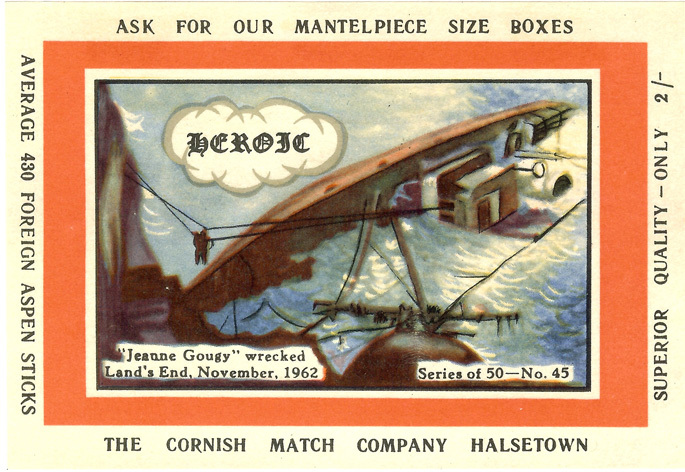 It is made from two pictures – one from a 1963 picture in a local paper of the rescue scene and the other from a contemporary postcard. 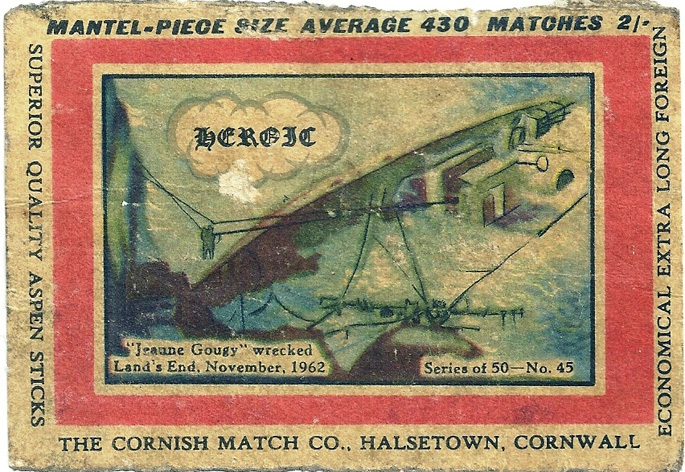 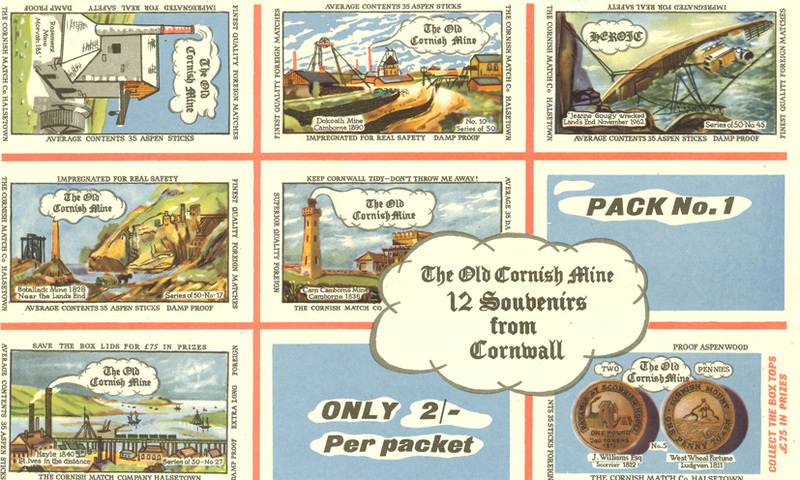 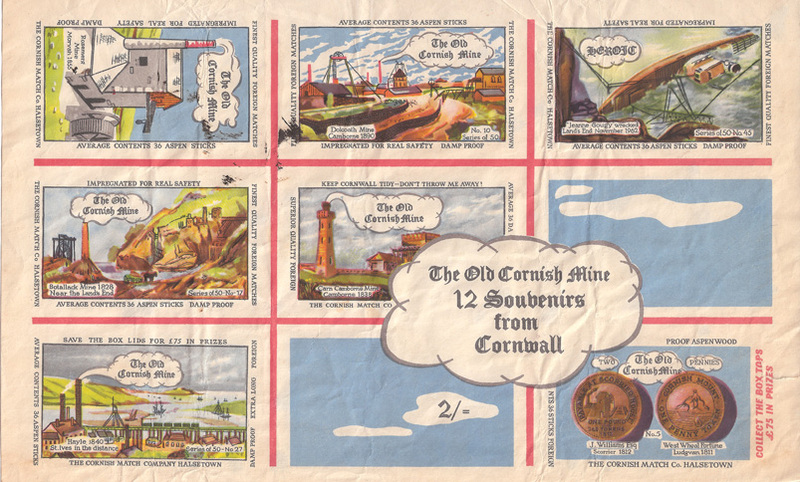 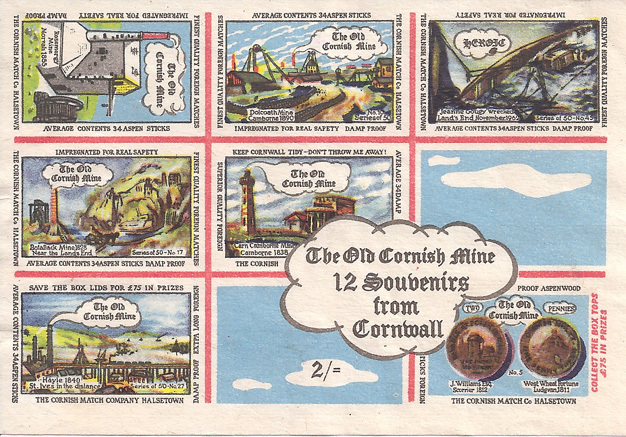 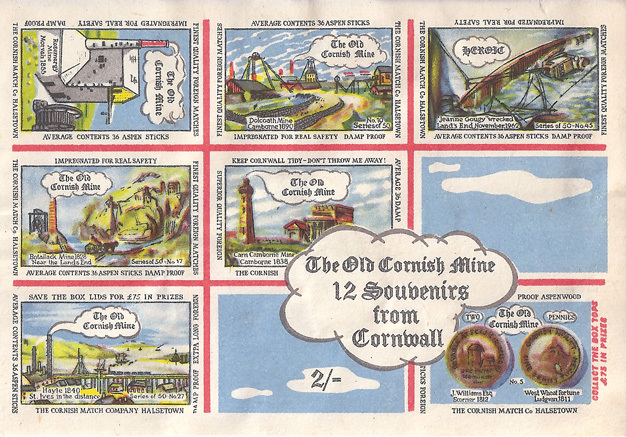 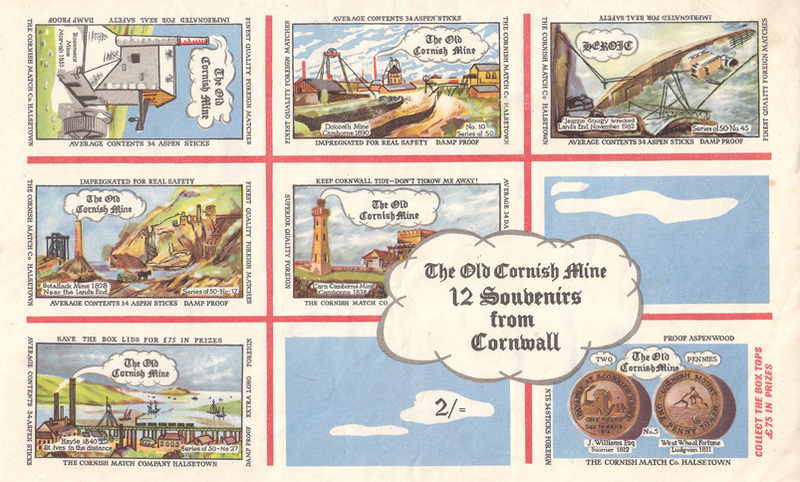 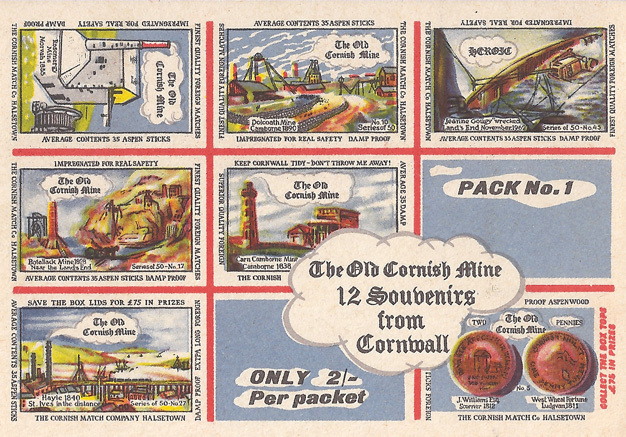 The illustration appeared on 10 individual and 6 souvenir labels and was first issued in November 1963, about a year after the incident.